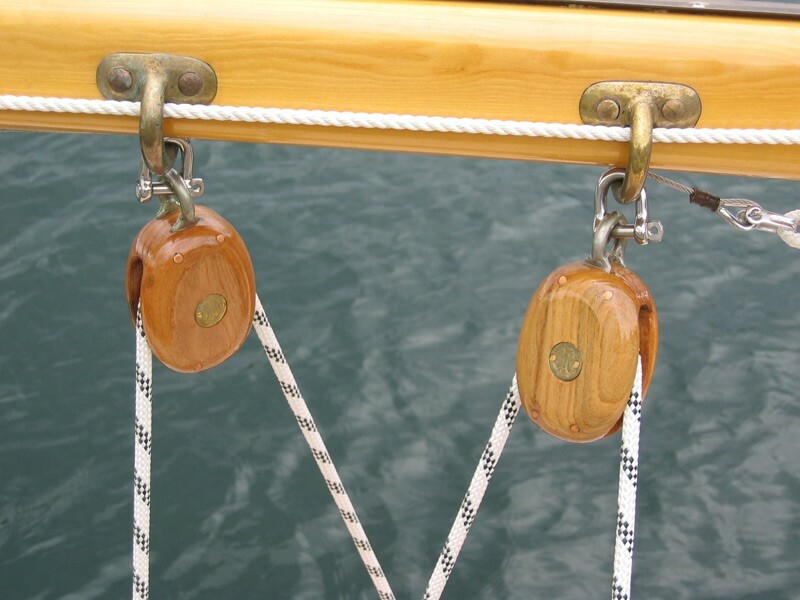 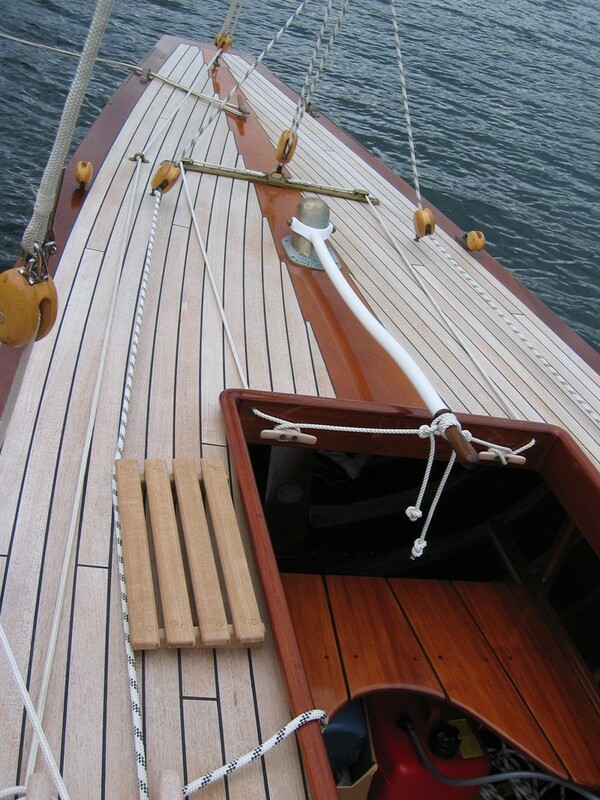 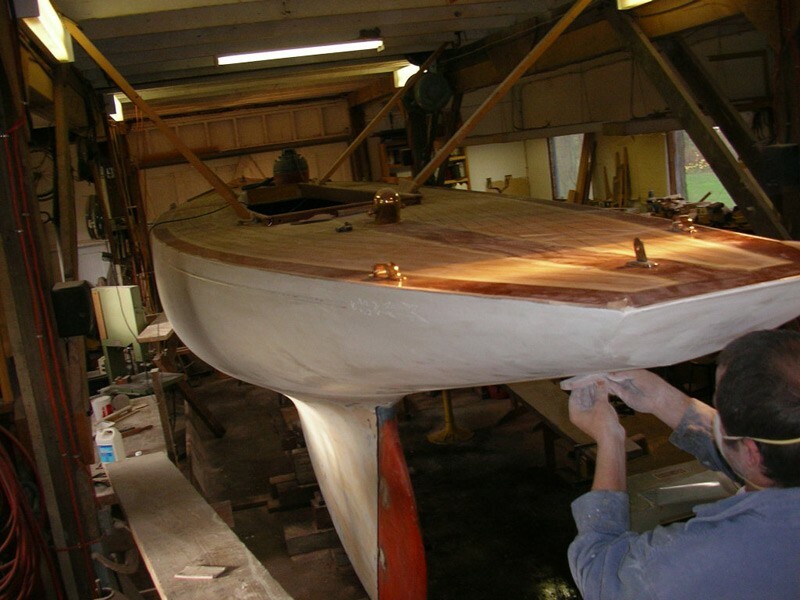 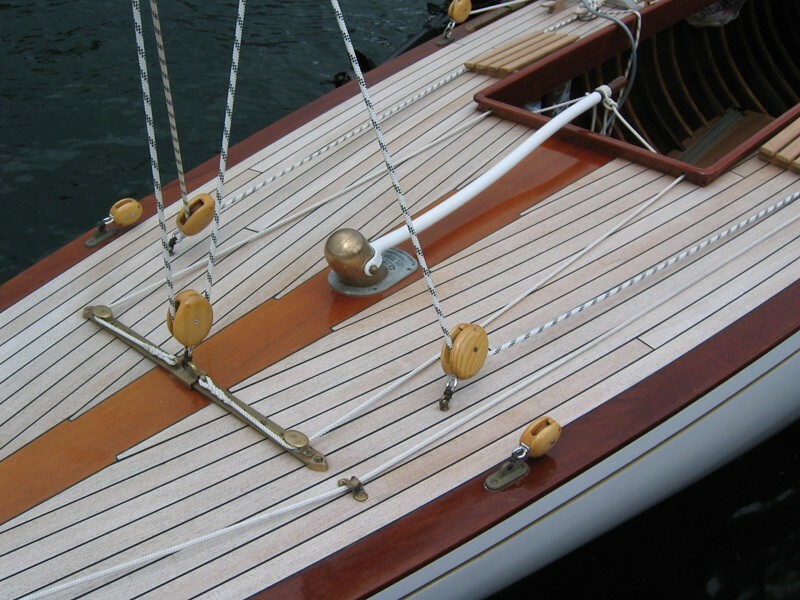 Saskia II was built for Sir A.S.Young to race on the Clyde, in a very active fleet of six meters, and represents the superb craftsmanship of the Fairlie builders at there peak. 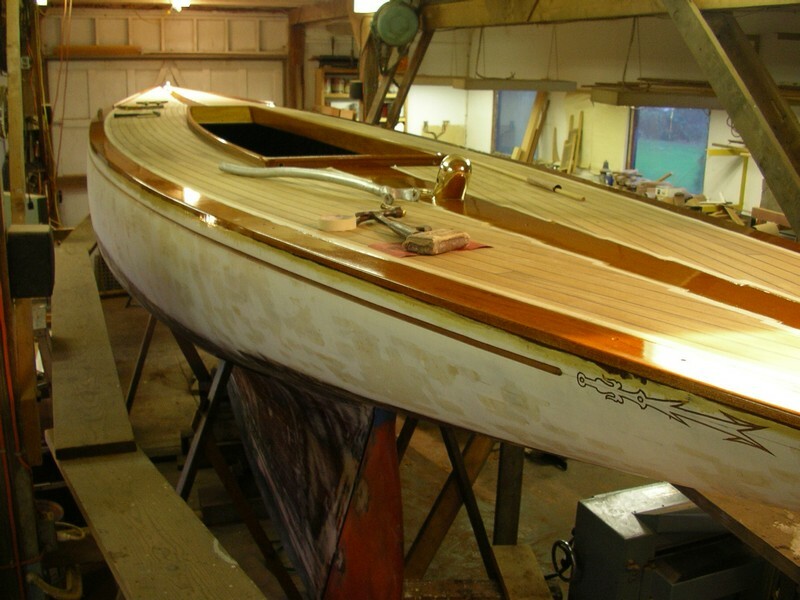 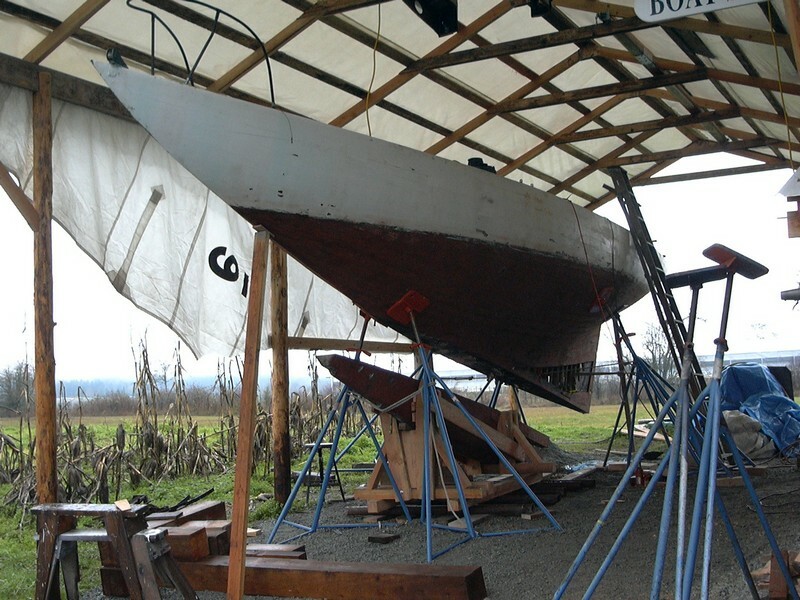 It is a testimony to the skills of these hardy men, who produced these “stradivarius’ of yachts, on the cold shores of the Clyde in Scotland, that these boats are still being appreciated and revered. 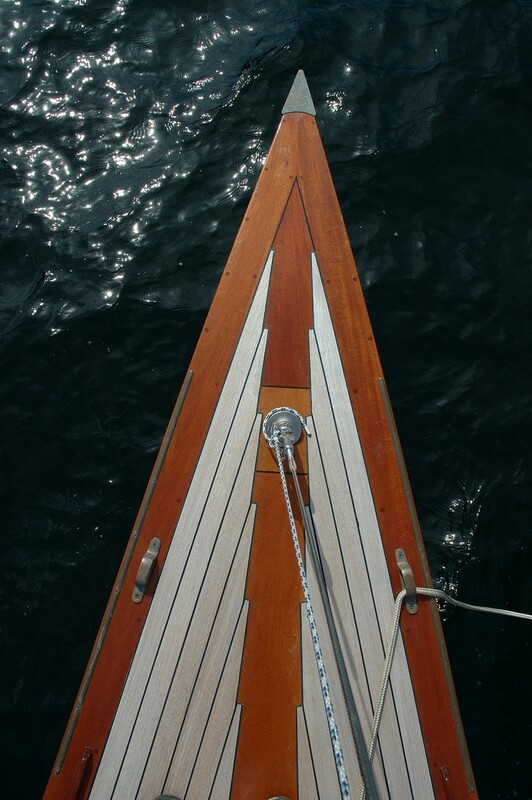 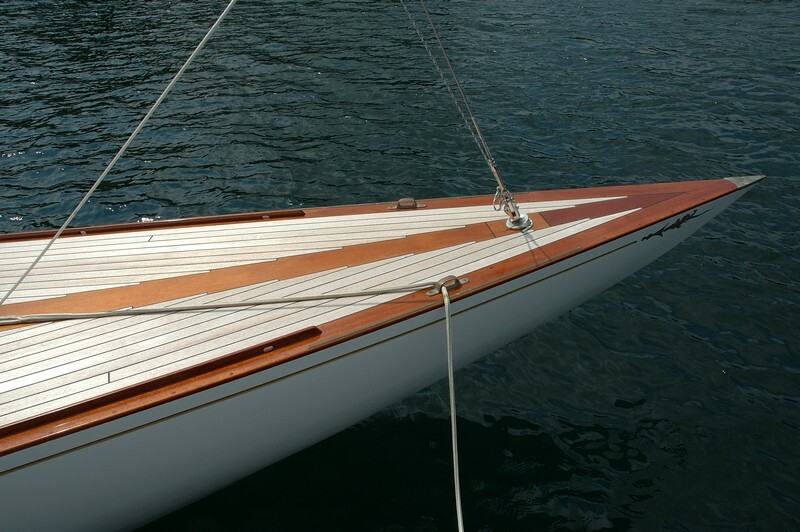 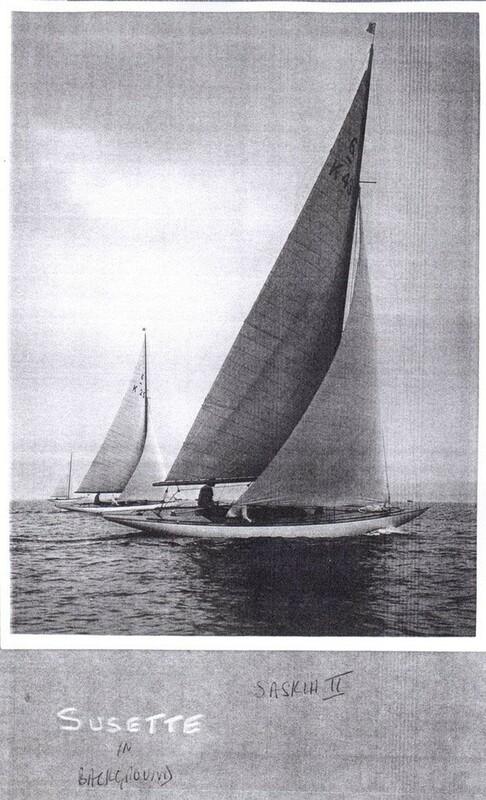 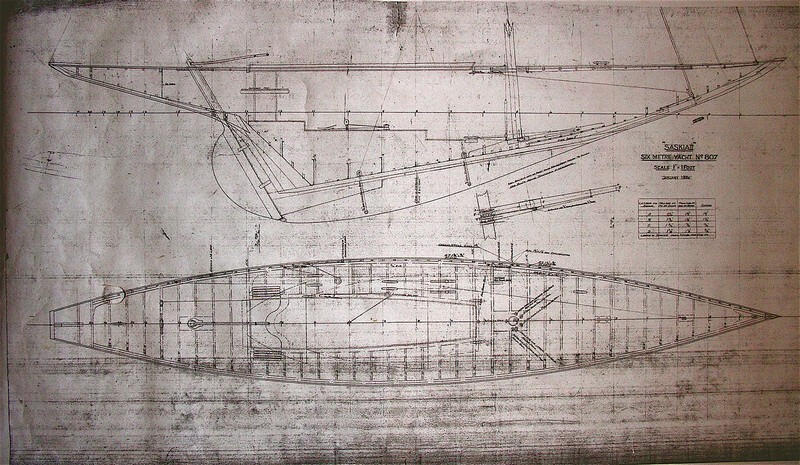 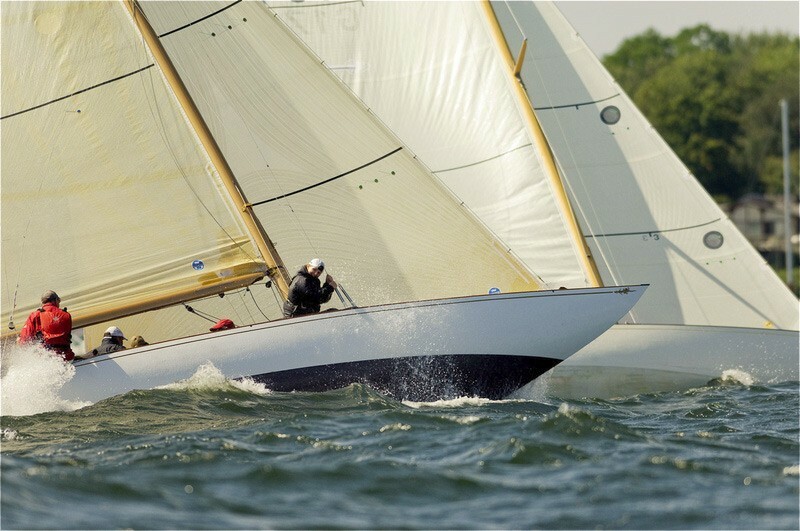 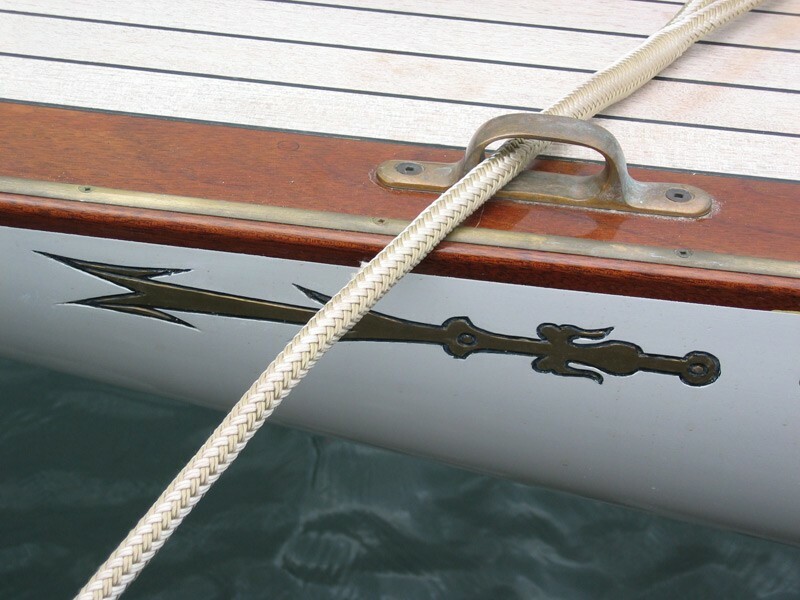 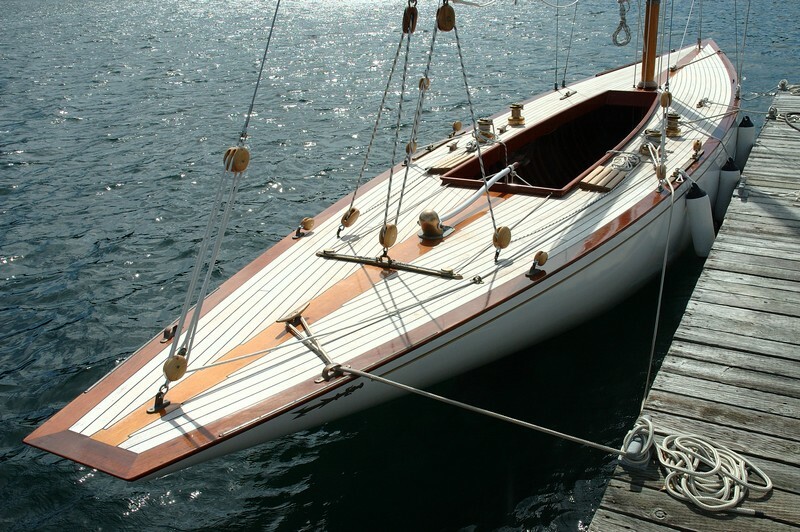 Saskia II was chosen to defend the British Americas Cup in 1934, and was shipped to the states, but was unsuccessful against the American 6 Meter’s which were then starting to dominate the class. 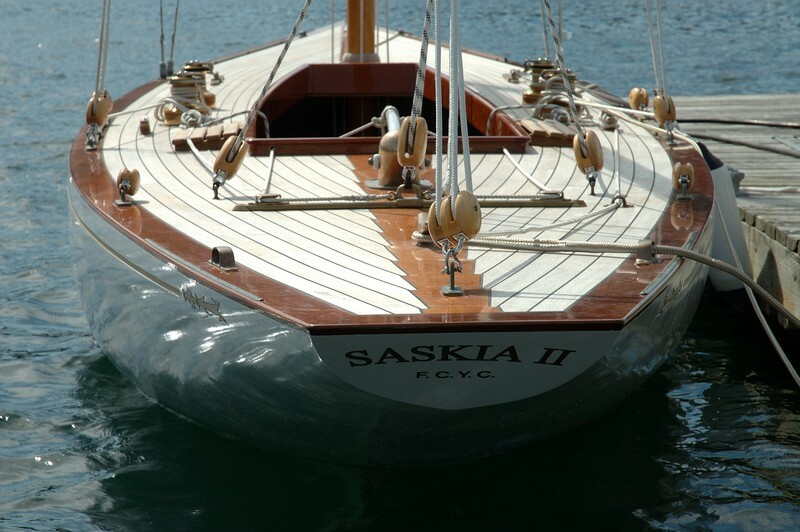 Saskia II found her way to the Pacific North West in the 50’s or 60’s where there was a very active fleet. 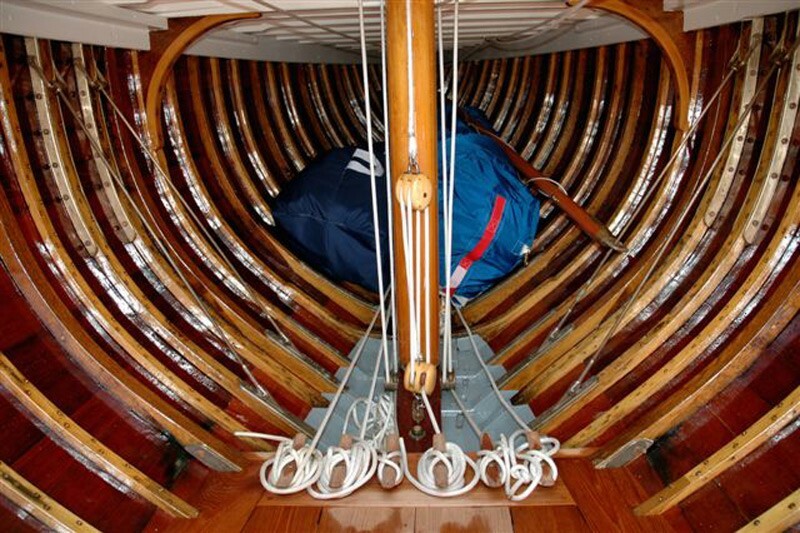 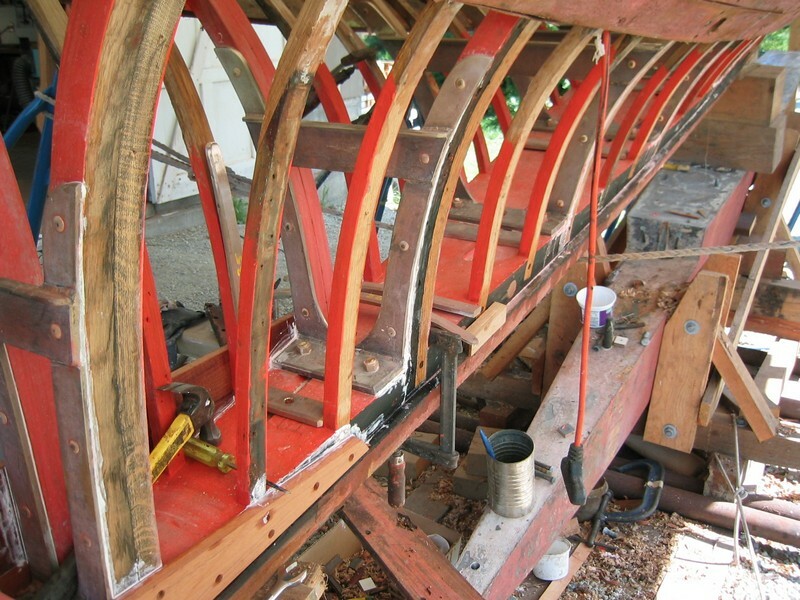 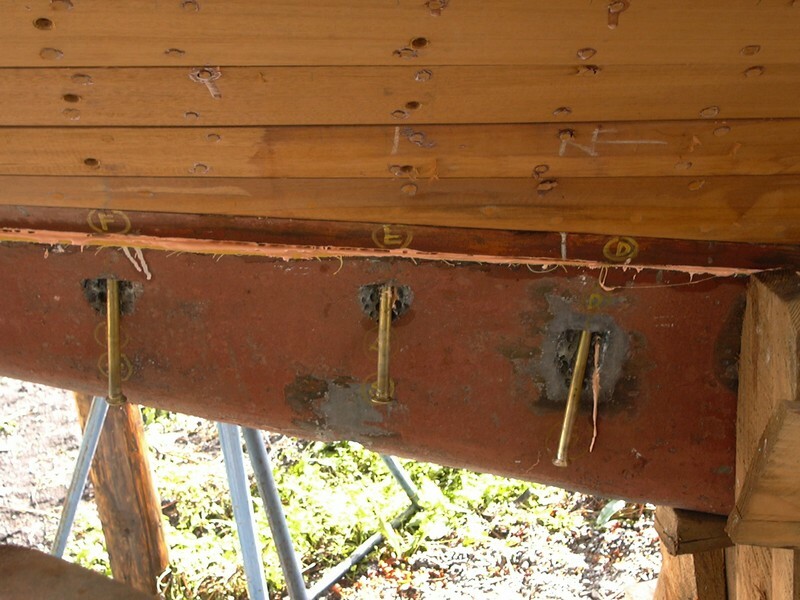 As do all Fife meter boats of this era, Saskia II has wrought iron floors in her bilge's, which after 70 years haves wrecked havoc on frames and planking. 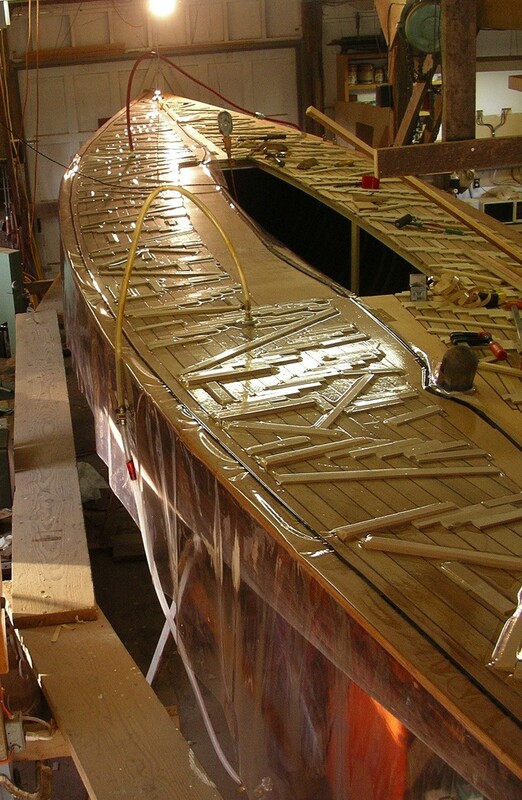 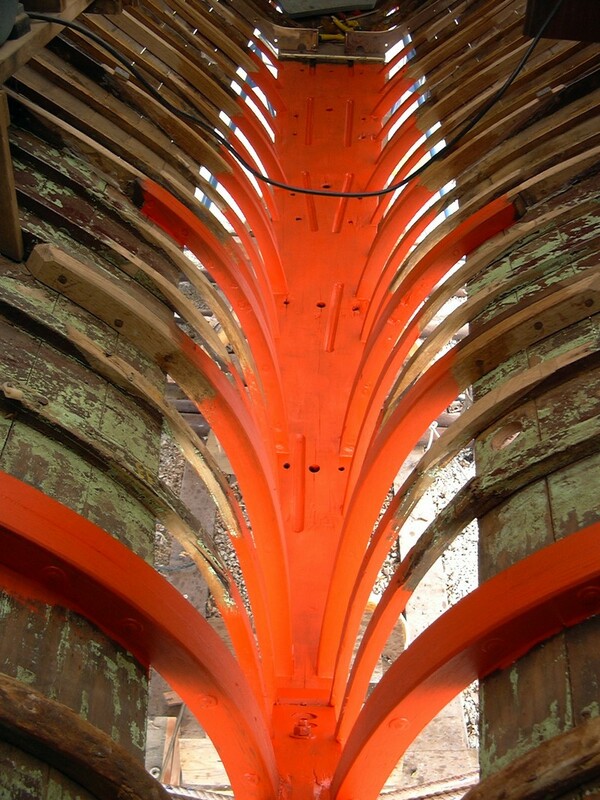 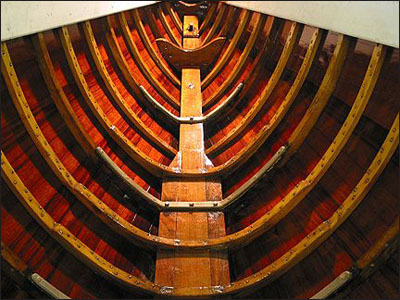 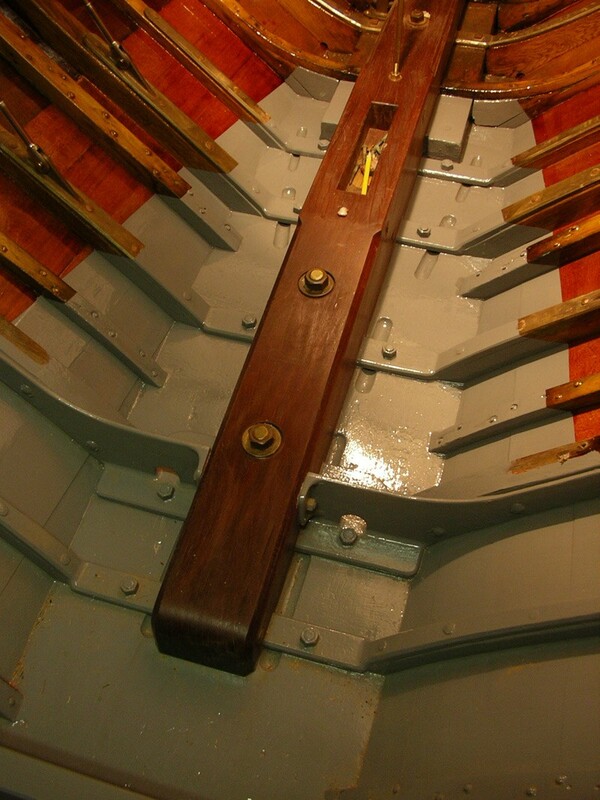 The entire bottom of Saskia II has been rebuilt, all iron work replaced with cast silicon bronze [to the original Lloyds specifications] damaged frames and planking have been replaced or repaired. 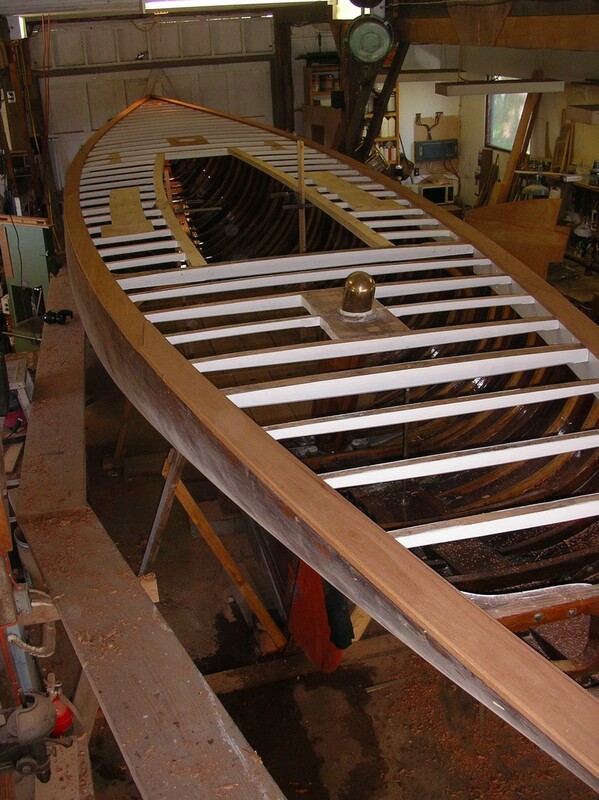 New deck framing and vacuum bagged teak deck. 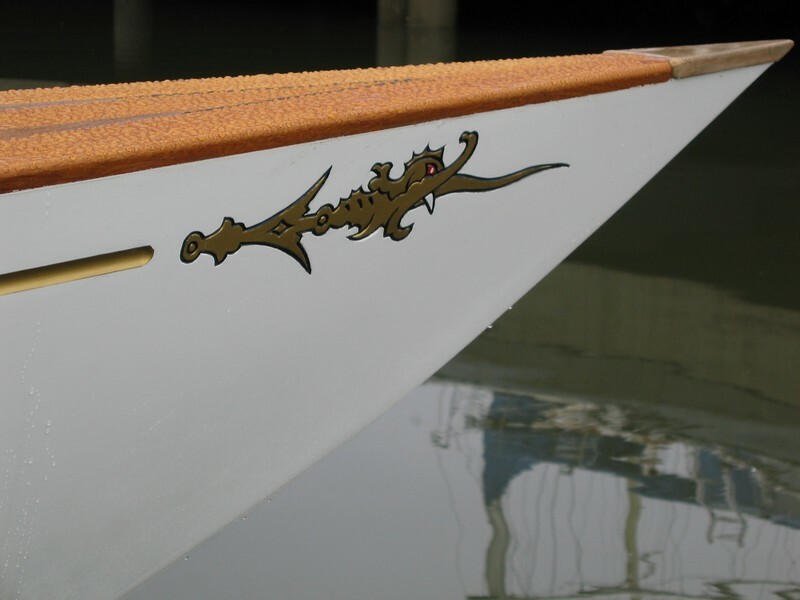 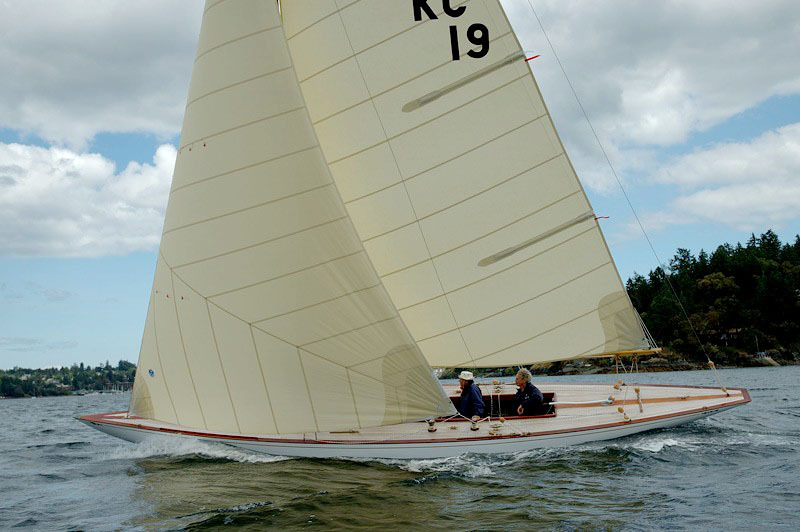 Since re-launch Saskia II has been actively raced in the Pacific North West, plus competing in the 2009 (Newport RI) and 2011 (Helsinki) world cups. 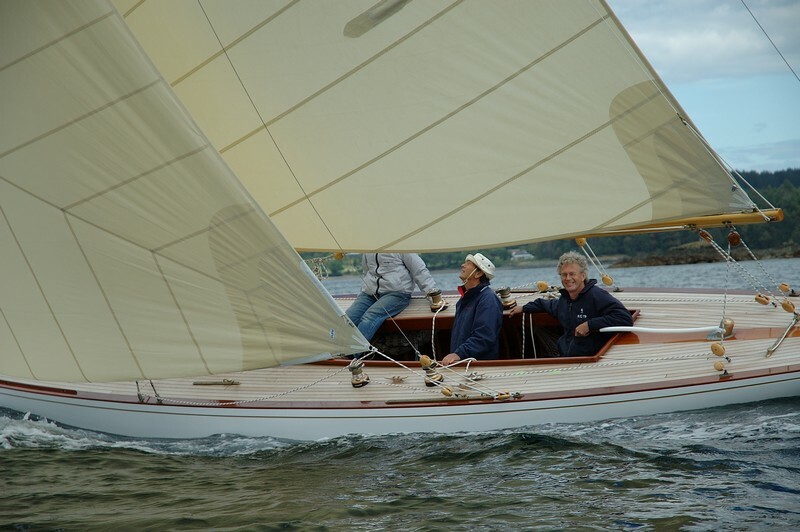 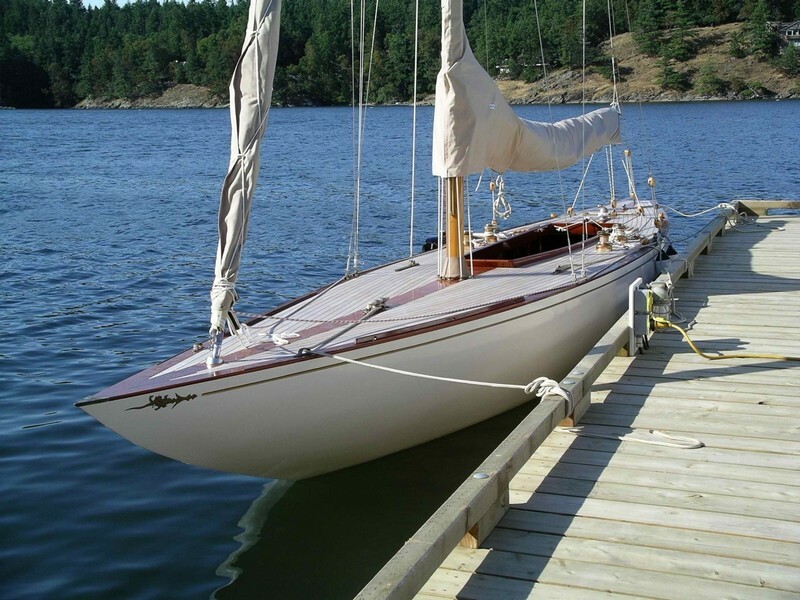 Click here for a video of Saskia II under sail.